Event 4 in the 2017 @WPTDeepStacks Championship Series is now underway - a $235 buy-in with $10,000 Guaranteed. 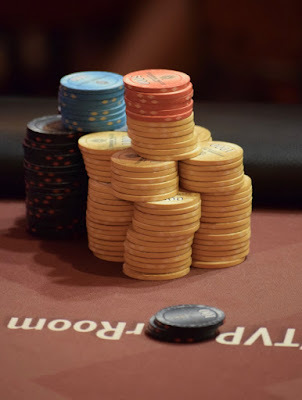 Start with 12,000 chips and play 25-minute levels during the 5 levels that registration and a single re-entry per player is available. Buy-ins are open until the start of Level 6 at about 7:20pm. Levels move to 30-minutes from Level 6 through the end of the tournament.